Microsoft Malaysia has just announced the arrival of the Microsoft Lumia 535 on our shores. 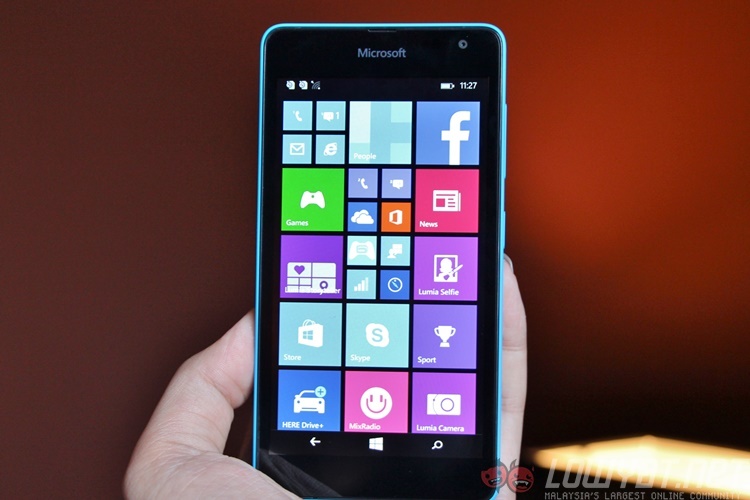 This particular Windows smartphone is the first Microsoft Lumia to be produced without the Nokia branding after its Devices and Services business was bought over by Microsoft. The Lumia 535 is an entry-level dual SIM Windows smartphone that is powered by the quad-core Qualcomm Snapdragon 200 processor clocked at 1.2GHz with 1GB of RAM. The display is a 5-inch 960 x 540 IPS display, and storage wise, there is 8GB of internal storage which can be expanded further with a microSD card up to 128GB. In terms of camera, the Lumia 535 has a wide-angle 5MP front camera that is carried over from the Nokia Lumia 730/735, so that’s a pleasant surprise. 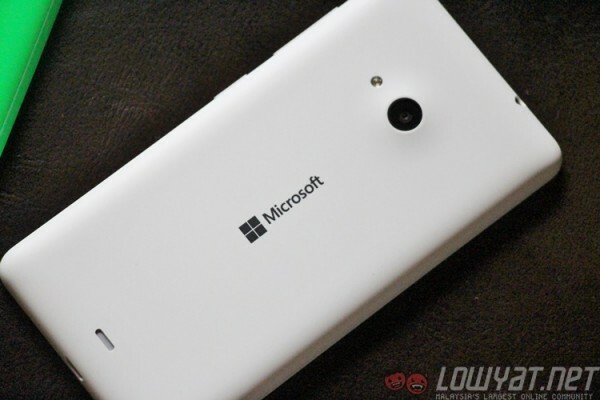 At the back, the Lumia 535 has a 5MP F2.4 auto-focus camera with LED flash. As for availability, it will be available from next week onwards with a price tag of RM429. If you purchase the Lumia 535, you’ll receive a gift box worth RM99 that includes a 16GB microSD card, 2200mAh power bank, screen protector, a notepad, and a keychain. This offer will last until the end of December 2014.